Eye of a fly. Location in book: Facing p. 182. Plate title: Schem. XXIV. References in text: Described in "Observ. XXXIX. 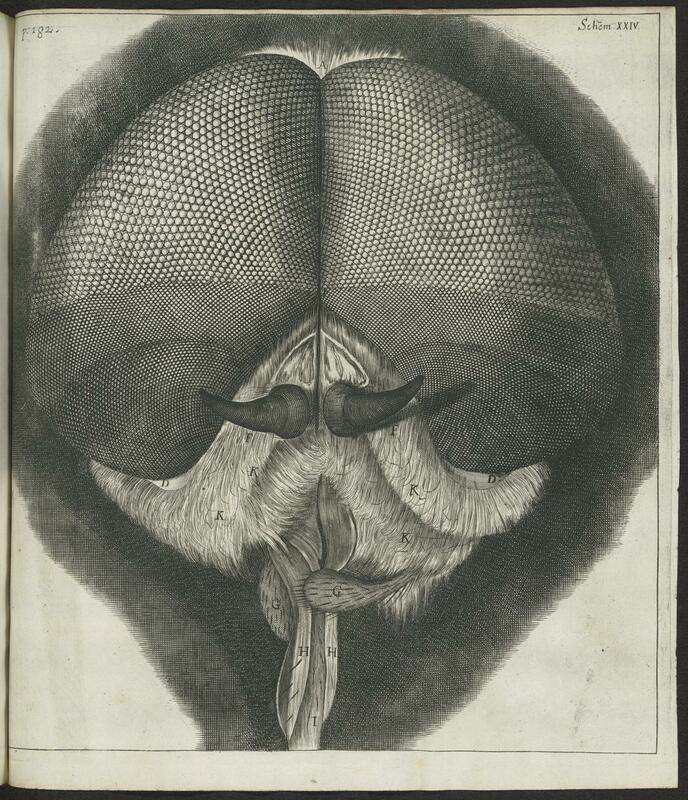 Of the Eyes and Head of a Grey drone-Fly [etc. ]," beginning p. 175.